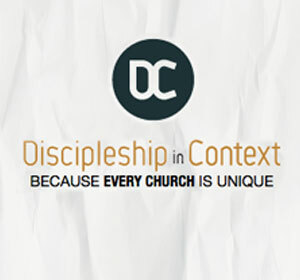 For well over a decade we have seen increased conversation about “changing the scorecard.” For example, leaders who have taken the true disciple-making mission of the church to heart are trying to redo their definition of success. Churches aspiring toward multiplication and movement have insisted that new metrics of effectiveness are essential. Within this context, the question of success has been top of mind by being a predesigned deliverable in every consulting context for over 16 years. In other words, I don’t show up onsite unless a church is really serious about answering this question for themselves. I have traditionally called this a ministry’s “mission measures” which answers the question “When are we successful?” It is the top part of the master tool called the Vision Frame which is represented by a bullseye icon. Now, the scorecard question is again addressed in a new tool released this week: My latest book is a 25,000-word digital workbook, made available FREE through Exponential. The Dream Big Workbook is another tool in an ecosystem of break-thru clarity and includes 24 team discussion tools on the journey toward creating a multiplying culture. Essentially it is a riff off of God Dreams which contains a template for “LEADERSHIP MULTIPLICATION” as one of 12 possible futures for your church. 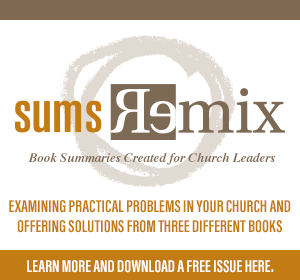 The Dream Big Workbook is therefore an extended toolbox for churches that have “opted into” the leadership multiplication template. In order to celebrate the release of the Big Dream Workbook I am offering two previous published chapters for free. Why? I simply want you to have the best tools at your disposal to work through these critical questions. In Dream Big, I refer to the scorecard as one side of the Vision Frame. I don’t do much teaching on it, so the workbook assumes some familiarity with scorecard leadership. In general, the church in North America uses a defining scorecard that is NOT the true measure of the mission – worship attendance and giving. That is to say, coming to a worship service and putting money in the plate does not necessarily mean that people are becoming disciples. In Church Unique, I wrote an entire chapter on “mission measures” to create a disciple-making scorecard. I also refer to mission measures as “missional life-marks” or your church’s “portrait of a disciple.” A church’s mission measure is defined as the attributes or characteristics in the life of the individual that reflect accomplishment of the mission. The chapter on mission measures is attached here. If you have not grabbed it yet, get a free copy of the Dream Big Workbook.